I wrote a 2014 goal update back in May, and in this post, I am going to do a review for the year – talking about what I’ve done and learned – and then look forward to 2015. Before we get into this, I just want to say that this kind of stuff gets me all fired up. Going through my year and analyzing it, and then planning for the next year, is so much fun for me. Maybe more importantly, it shows me what I have achieved and gives me the information I need to build my plan for 2015. The first couple of months of 2013 were all about building and planning, building and planning. 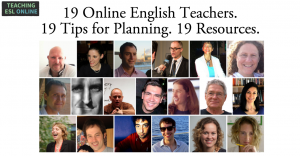 I created a free guide for English learners that blew up on social media – well, at least in English learners groups – and this added a couple of thousand new subscribers to my email list. 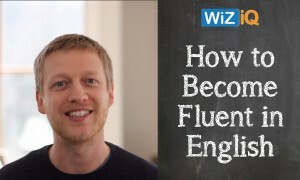 In March, I put together a course for English learners on WizIQ. It consisted of five live lessons, guides, videos, and other resources. The course was focused on helping English learners move from an intermediate level to an advanced level through goal setting, using the right learning methods, and making English an every day thing. Other courses would have been safer (grammar courses, vocab courses, business English courses etc. ), but this area of English learning/teaching is what I’m most passionate about. And putting it on a platform like WizIQ, where the set up process is pretty minimal, meant that I could validate this course without too much risk. Both the sign up rate and the feedback I received were very encouraging. I decided to repeat it in June on the same platform, and had similar success. I would later take this course and put it on my own platform (more on this later). Although I haven’t created videos on a consistent basis, I have put out around 15-20 videos for both English learners and teachers. This was one of my goals for 2014. What I found most difficult was starting the video workflow; the way I had things set up, there was a lot to do. I was also spending too much time in post-production and it started to become a bit of a chore. This is something I’m going to change in 2015, which should allow me to get more videos out there and have more fun making them. Considering the lack of momentum, the number of views and clicks to my site have been quite promising. I have experimented with group lessons this year too. After a successful first round of group lessons (conversational lessons with 3-4 learners in each group), I decided to focus my time elsewhere, mainly creating two new courses (see below). I have added thousands of English learners and teachers to my email newsletter this year, and focusing on this area was the right decision to make. I have managed to achieve this through creating free resources for learners and teachers to download. Downloading the resource also signs you up to the email list, and I made this more prominent on my various websites and social media channels. Email is the best way to keep in contact, interact, and send offers to your audience. In my opinion, no other method comes close. I finally set a deadline for this course, and on the 12th August (one day late!) 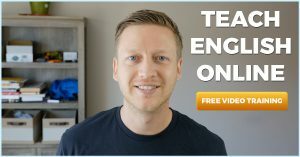 I opened up The Teach English Online Course (TEOC). It has been a huge success – the feedback and the results of those taking the course have blown me away. Receiving emails from teachers telling me how my course has helped them change their life means so much to me, and this has given me confidence to promote it as I know the value in this course. It was a hell of a ride putting this course together (more on that later). 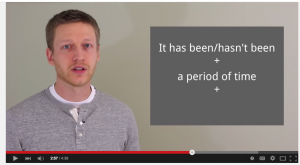 I started a new site for English learners in November, and also introduced a new course. The To Fluency Program (TFP). To Fluency is the product of me nailing down my teaching niche (another goal) and focusing solely on one area. I took the course that I wrote on WizIQ, adapted it to my own platform, expanded on it, and then put it out to the world. The results and feedback have been great again. 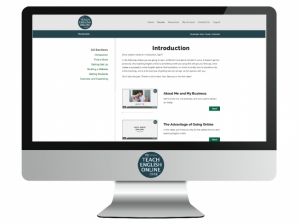 There was a lot of worked involved, but having the experience of creating and launching a course on my own platform (TEOC) meant that it was much easier the second time around. 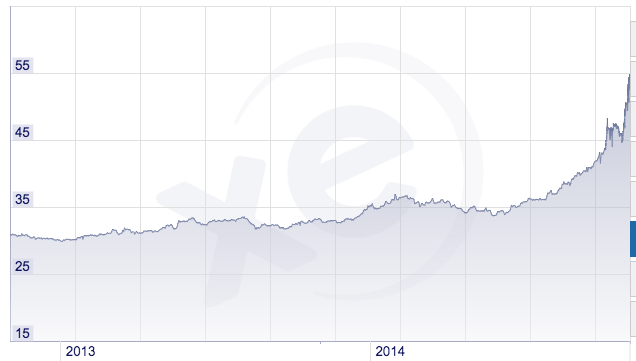 I know that I will start a podcast one day, but 2014 wasn’t the year for it. I don’t feel too down about it, as podcasting is just one way to reach a large audience. I have a few ideas about my podcast written down in Asana, and will look at doing this again in 2015. This was the only goal that I had set at the beginning of 2104 that I didn’t end up doing. For me, 2014 has been the year of new courses, the webinar, and email marketing. What I can say is that it has been completely worth it. The reason I decided to create these courses on my own platforms and not elsewhere was because of the control it gave me. Using other platforms restricts the flow of your course, what you can include on the sale page, the checkout experience, and just so much more. Courses rock. But what else have I learned? 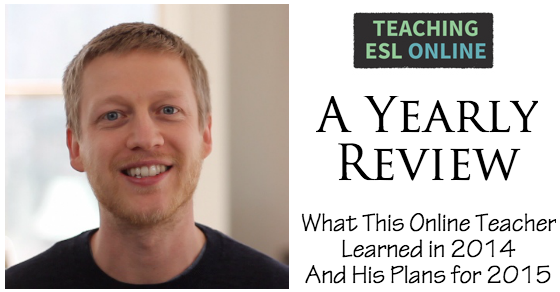 I have held various live webinars for both English learners and teachers this year, and LOVE the buzz of presenting live to a big group of people. I’ve probably done around 20 live events in total, and I still get that nervous/excited energy in the minutes leading up it. I have used webinars to give away free advice and also to get people to sign up to my courses. I realized how powerful they can be after my first one; around 75% of course sign ups for the WizIQ course came from the webinar I did. I see many more live webinars in 2015! I hit the deadline for TEOC because of one reason: after my deadline I was taking three weeks off to have a rest and also to look after my son. I knew that I couldn’t really get anything done during my time off, and the thought of not completing this goal on time, and knowing that the course would have to be put back weeks, really kicked me into gear. As with most goals (per Parkinson’s Law), I left a lot to the last minute. 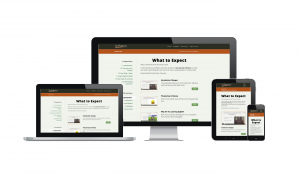 In fact, I recorded my course, designed the whole site, and integrated everything in just 14 days. It was hectic, but I was completely focused and nothing was going to stop me from completing it. From this experience I learned the power of setting goals with real deadlines. When it was time to plan for my English learning course, I set a deadline and told my mastermind groups about it. A couple of weeks before the set date, I had thoughts about putting it back. But the deadline kept coming back to me, and I realized that if I was serious about my teaching business, and to prove to myself that I can meet deadlines, I had to get it completed on time. And I did. Two books that I read earlier in the year helped me realize the importance of setting goals: How to Completely Change Your Life in 60 Seconds and The Success Principles. Control is probably my word of 2014. As you probably already know, teaching online and doing your own thing gives you control over many areas, including: where you teach, how you teach, and what you teach. Personally, I also like control over every aspect of my business, which meant that as my business expanded, so did my working hours. But I relinquished some of this and hired others to help me on my projects. One of the tasks that I hired someone else to do was to create transcripts for TFP. It was worth every penny. In addition to hiring others, I also spent a lot of time in September and October automating as much as I could and setting up systems. I started using tools such as Asana and Evernote much more, and also invested in other applications too. I started two separate mastermind groups this year, and both of these have helped me greatly. Meeting on a regular basis with like-minded people has given me so much inspiration, knowledge, recourses, and accountability. Starting in 2015, I’m going to bring members of TEOC together and facilitate mastermind groups for teachers inside the course. I have continued to build relationships in 2014, and have made the conscious effort to put customer service right at the top of my priorities. I answer every email I receive (usually within 12 hours), and actually love this part of what I do. This year I met my first reader of this blog in person, and I would LOVE to meet more of you in 2015 too. So, if you’re around the Asheville, NC area, hit me up. I have made some pretty substantial investments this year. In addition to courses that I have taken, the books I’ve read, and software I have started using, I have also invested in a very powerful iMac and a stand up desk. The books and courses have been focused on automation, outsourcing, productivity, and goal setting. 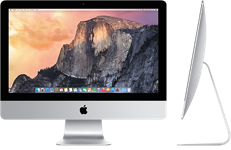 The iMac has helped greatly with productivity – video creating in particular is much quicker and easier to do now (before I could only have one application open at once). And the stand up desk was bought because sitting down all day wasn’t doing me any favors. It has taken a change of mentality to make big investments, but I am starting to see that when they give you back more than what you paid for them, it’s completely worth it. One-to-one lessons, group courses, video courses, affiliate marketing, high end consulting… the list goes on and on. When I first started out, I had no idea where everything was going to lead. And for a long time I had no ambition of expanding. But now, I have very limited one-to-one lessons due to the success of my courses and other products. One-to-one is the best way to start your online journey; it brings in money right away and you can learn from your audience. But once you are in the position to do so, expanding into other areas gives you even more control over your teaching business. The first one was a big collaborative post, so no surprises that it was the most read. The other two were interviews (in fact, posts 4 and 5 were video posts too). Let’s talk about goals now. This is a continuation of my 2014 goal. I want to keep this going with the same kind of momentum, and build an audience of English learners (and teachers for this site) that is 10 times what it is now. This is a huge goal, but one that I think is attainable. I want this to be reflected mainly by the number of email subscribers, but I am also looking to expand on social media too. But I don’t just want to build an audience. I want to build a community. 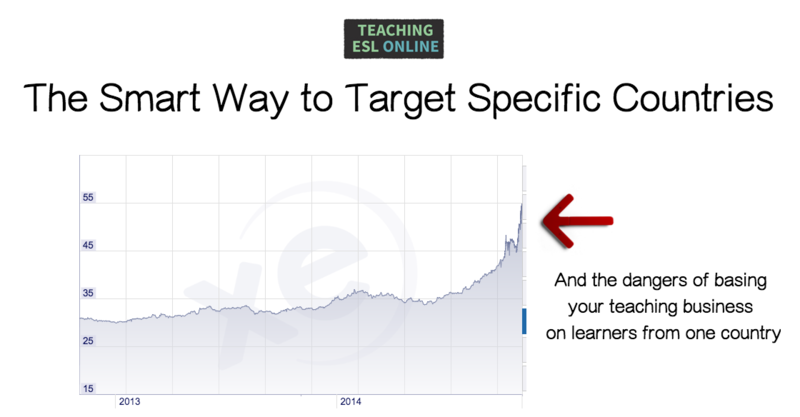 I want English learners who join my site to feel part of something bigger. 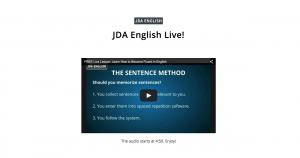 And that was a big reason for rebranding; going from JDA English to To Fluency helps me with the message that I want to get across. In 2015, I am going to introduce a posting schedule, with posts, videos etc., going out on a specific day of the week and on a consistent basis. This all goes back to having deadlines and getting things out there on time. I’ve never been convinced about whether there is such a things as writer’s block – I see this more as resistance, as Stephen Pressfield writes about in The War of Art. Having a content schedule will help me push through any resistance to creating content. Additionally, I am going to make content creation easier to start. Writing down post ideas (and having them accessible within Asana), as well as simplifying my video recording setup will help me with this. In terms of the content I’m going to create, I have looked at my popular posts and have found some common features of those posts, and will create content based on this analysis. After creating and selling a course there is the temptation to go straight to the next one. But my strategy for the first three-six months is to solely focus on improving the courses I have now and bringing more people into them. My new course can wait until later in the year (can you guess what it’s going to be? Hint: it might not be ELT/ESL related). As I mentioned before, the positive feedback I have received has made me truly believe in the products I have. But I don’t want it to stop there: I want to constantly improve the courses and add more things based on what people inside the course want. And in terms of sales, I am going to use the 80/20 principle (something I wrote about here) to ensure my time and energy is being spent wisely. With two websites, two courses, and another website on the way, things can get a little crazy. That is why in 2015, I’m going to bring in more people to help me, especially in the areas that I struggle with. Additionally, I am going to look at more ways to automate a lot of my tasks and run more in-depth analytics. I’ve been guilty of trying to do too much of this manually, and this just takes too much time. I’ve already set up some automatic reports to be sent to my email address on a weekly basis, which should hopefully stop me from checking stats at various times during the day (and avoid the black whole of checking in on your analytics). 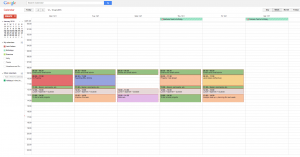 I’ve noticed that I’m most productive when I block out my time. When working for yourself, it’s too easy to get caught up in the big picture stuff when you should really be focusing on getting things done. And at times, you stand there in front of your computer without knowing what you should be working on. Therefore, I have set up a work schedule that I intend to stick to, obviously allowing for it to evolve naturally. I have come up with a schedule that allows me to keep up, and hopefully get ahead with, my posting schedule, while giving me time to teach, do webinars, strategize, work on projects, do email, and a whole host of other tasks. My blog here has gone from strength to strength in 2014, and nothing makes me happier than when I receive a success story or an email thanking me for my posts. 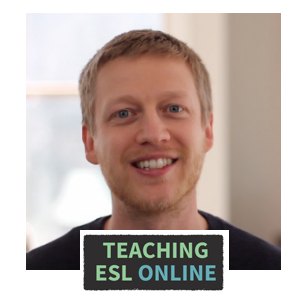 Thank you so much for being part of Teaching ESL Online (if you are new here, click here to join the community). It’s been such an amazing ride so far, and here’s to it continuing! Wishing you all a successful 2015. Please leave comments, questions, or anything you want to post in the comment section below. No matter the reason a learner has, I always experience that sinking feeling when I get told that they don’t want to continue with lessons. But, I soon move on and either find a new student to take that time slot (the power of having an email list), or as I have done recently, reduce my teaching hours to work on other projects. It happened to me this week: one of my students from Russia told me that he couldn’t continue. He thanked me for the lessons that I have given him (he has taken conversational English lessons for the last two years), but said that he just couldn’t continue. The price of his English lessons have gone up by two thirds since July due to the exchange rate between the dollar and the ruble (Russian currency). He was hopeful that the ruble was going to bounce back after an initial decrease in value (he’s a financial analyst), but you can see that recently it has depreciated quite rapidly over the past few weeks. A couple of other Russian students have also dropped lessons over the past few months for the same reason, saying that they would like to take lessons again after a potential correction. Luckily, I hadn’t set everything up just to target Russian students. I get learners for my lessons and courses from many different countries. But if I had set everything up for learners from Russia, then I would be having some problems right now. When thinking about your teaching niche, know that there are risks involved if you only target learners from a specific country. If you live in the country you target, then these problems are minimized and maybe non-existent as you’re paid in the same currency. But otherwise, relying on the exchange rates and political situations to remain stable is risky. There are certain ways that you can target a specific country (or countries) without building your whole teaching business around this country. Instead of building your whole website around one country, you can create landing pages (specific pages that learners land on) for specific countries. You can send learners from, let’s say Brazil, to this specific page through your marketing efforts, and on this page, you can have information that resonates with with these learners. 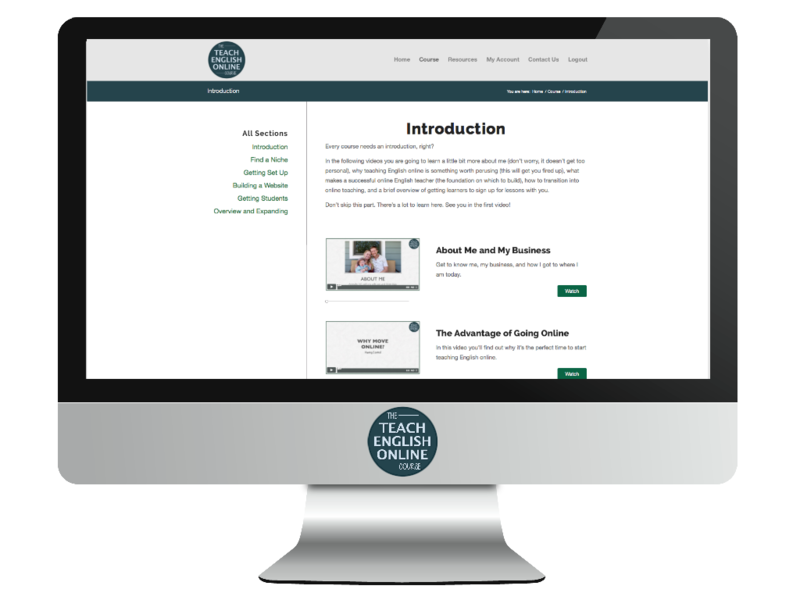 Your website can be more general and resonate with learners in other ways (teaching style, common problems etc.). Instead of creating a Youtube channel dedicated to learners of a specific country, you can create playlists instead. Videos for this playlist can go into depth about the problems these learners have, with videos that solve these problems. The quickest way to bring students to your site (or to your specific landing page) – and then into your lessons – is through posting, networking, and advertising. And all of these methods can be used for targeting specific countries. For example, using Facebook ads, you can specify in which countries you want your ads to be shown. These methods mean that you can target learners from one country (or more) without putting your teaching business at risk when political situations and exchange rates change.